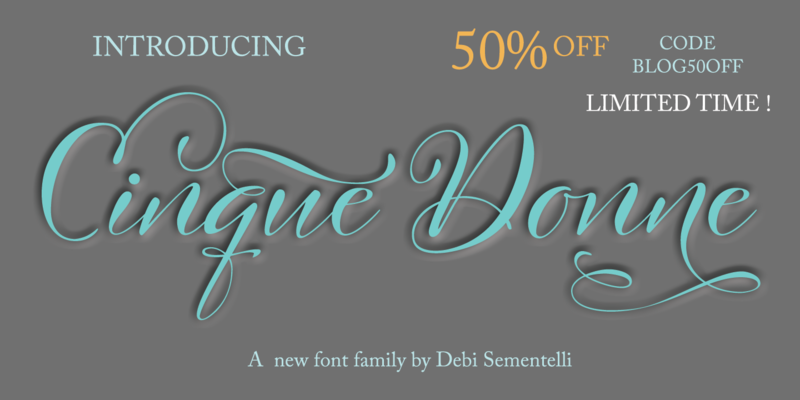 I’m happy to say my new Cinque Donne font is currently #11 on the Hot New Fonts list! My heartfelt thanks to those who have purchased it. If you haven’t yet, please check it out! It’s named in honor of my sisters as well as the group of five “Club Girls” I have had the pleasure of knowing since I was 14 years old! 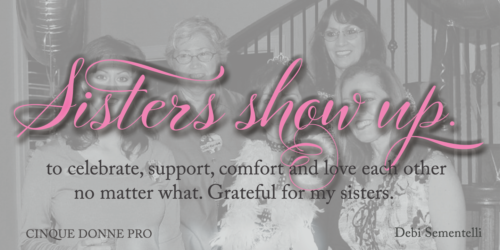 But it also honors all women who continue to show up in their lives and the lives of those they love. But for this post, I’m starting with a little bit of info about the oldest of my incredible sisters, Georgina. 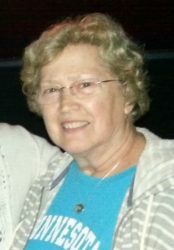 Georgina is now retired and living in Minnesota. But she spent years as an investigative reporter and then a technical writer for the remainder of her career taking time off to study geology in between. Though she never had children of her own, she loved to shower attention on all of her nieces and nephews. But before that, she beautifully played the role of big sister to me. One moment that stands out is when I was 12. I was going to be changing schools from one where uniforms were required, to a regular school. With seven kids, just putting food on the table and a roof over our head took most of the family budget. Georgina had been working at the city newspaper by this time. So she took me out to the local department store and let me pick out several outfits that she then purchased. I felt like the belle of the ball. It made all the difference in the world to this shy insecure pre-teen. It also served as a wonderful example of how to be there for someone you love. Thanks Georgina! You set the bar high for the rest of us. 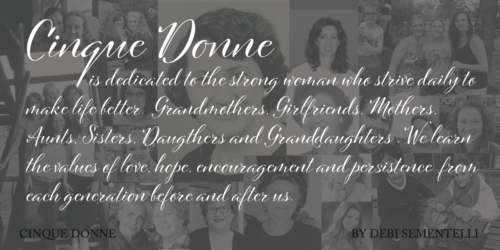 The Cinque Donne Font Family contains four versions of the font. 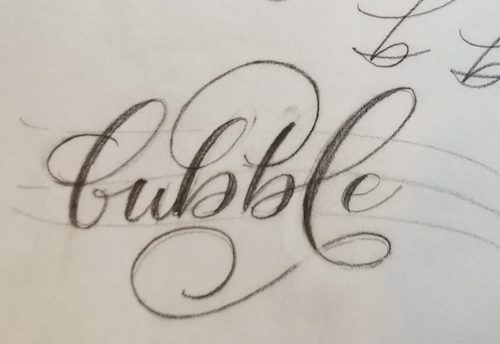 Cinque Donne Basic and Cinque Donne Bold, contain a basic set of upper and lower letters. 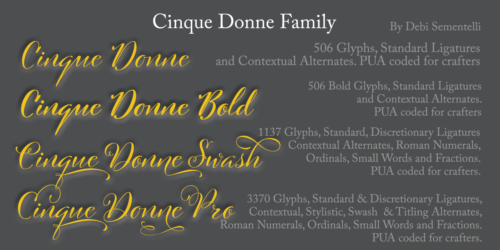 Cinque Donne Swash includes four sets of upper case and six sets of lower case letters. 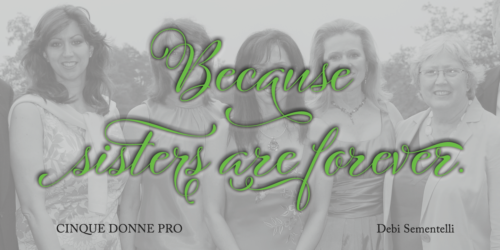 Cinque Donne Pro has all the bells and whistles with 3370 glyphs! 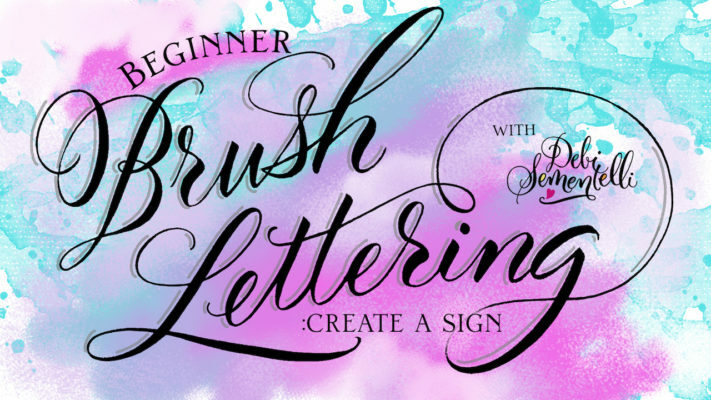 You can easily use them to add lots of fun and fancy to your projects! And…it’s coded for PUA ( Private Use Area) so you can access all the fancy alternate letters without needing an expensive program.